I have a really cool Air Force ride coming up in California in a couple of weeks. Think helmet, mask, and speed jeans. (Yeah!) And, although I’ve filmed other people doing aerobatics a lot lately, I haven’t flown a lot of aerobatics. 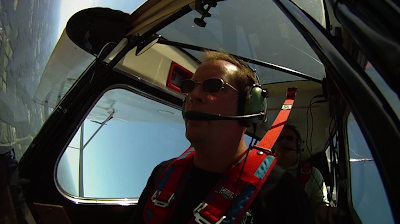 Out of respect for the crew chief (and personal pride), I decided to get up and crank an airplane around for an hour or so. So I scheduled the Citabria and Barry for a couple of hours. We went out and did some falling-leaf stalls, an incipient spin or two, and then some genuine spins. Good kill-proofing no matter who you are and I highly recommend doing it at least once a year. And it was also enlightening in terms of the control inputs required. I really over-controlled the first couple of recoveries, but got pretty good about just relaxing on the subsequent recoveries. And, of course, I hung some cameras in (and on) the airplane. I might use some of the footage as B-roll for Acro Camp. But the primary use is likely to be an episode about spins. The in-cockpit camera leads this post. This one is a view from the wing camera. 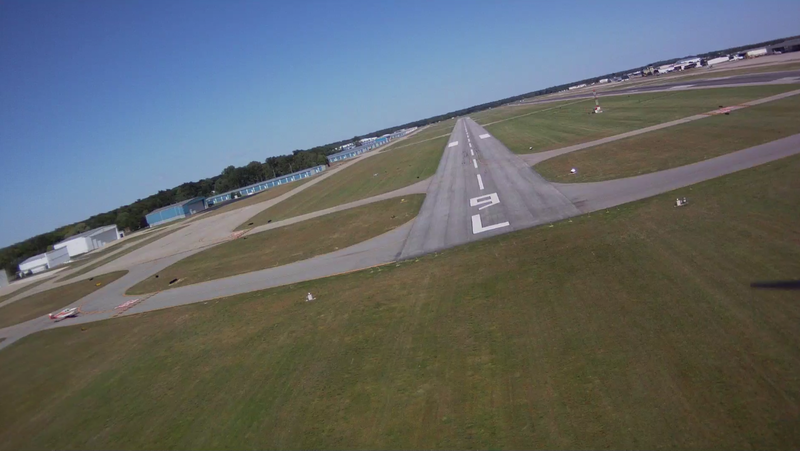 This is the first time I’ve flown a forward-facing wing camera with no airframe in the picture. I think it worked out beautifully and I’ll probably shoot more with this POV. The only change might be that I’ll land abnout five feet to the right of the centerline so that the camera (mounted on the left wing strut) is directly over the centerline, this giving the viewer a sense of floating in over the center of the runway. I also flew a camera mounted directly above my lap to show the control inputs associated with the maneuvers. The stick disappears below the dash at some points, but the angle generally gives a good view of the controls. 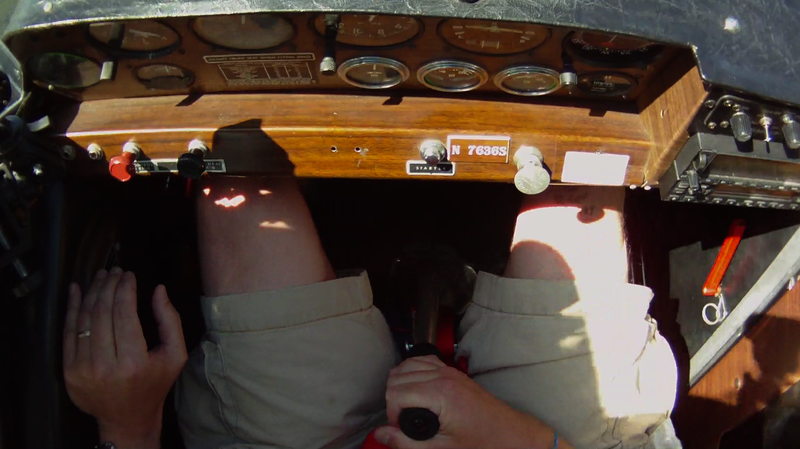 “Knees and nuts!” as my CAP NESA MAS instructor likes to say. I’m off to the Battle Creek Airshow tonight and hope to get out to the balloon launch first thing tomorrow morning. Thus, I leave you with these teasers. More soon from Battle Creek!